Today in History–March 25–the Library of Congress features Maryland. On this date the state celebrates the 1634 arrival of the first colonists to the land chartered to Cecil Calvert, the second Lord Baltimore. One of the original 13 colonies, today Maryland is known as the “free” state. 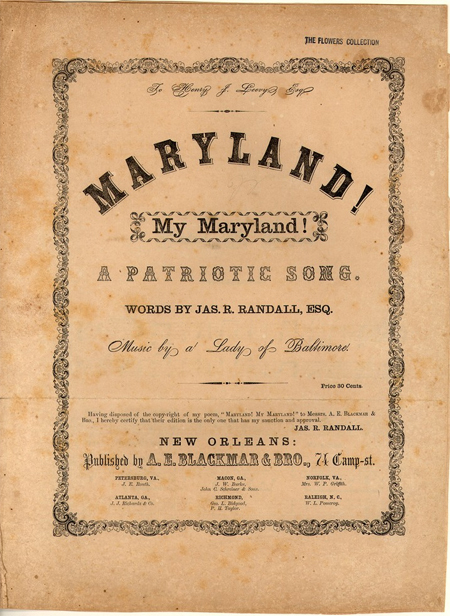 Learn more about this state on the Eastern seaboard by visiting the Today in History section, then follow the links below to thousands of primary sources related to Maryland.